If you spend a lot of time outdoors, wearing prescription sunglasses in Cambridge MA is a must to ensure that your eyes are protected from harmful ultraviolet rays of the sun. In winter, glare can be more intense as snow reflects 80 percent more of the sun’s rays compared to reflection from sand and water. In the summer, wearing prescription sunglasses from Parrelli Optical will make it more convenient to enjoy the pool or the beach without dealing with clip-ons or contact lenses. 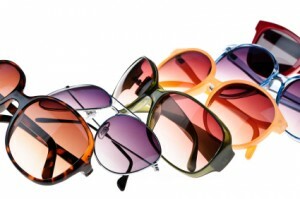 Quality sunglasses may reduce the incidence of vision problems and should be worn as necessary regardless of season. At Parrelli Optical, prescription sunglasses are fitted the same way as regular prescription eye wear. They are available in any prescription with specialized features such as progressives, bifocals and reading glasses. Most eyeglass frames are suitable for prescription sunglasses including designer frames, trendy and traditional styles in plastic or metal. Various lens types are used in making prescription sunglasses in Cambridge, MA. Lenses can be made of regular plastic known as CR-39, polycarbonate, high index lenses or glass. The first three materials are preferred options because they are lightweight and shatterproof. The eye experts at Parrelli Optical will tell you that color and depth of tint will depend on personal preference and where prescription eye wear will be worn most of the time. Yellow and blue tints are popular on the slopes because these lenses allow the wearer to see more clearly. Deep dark shades are popular for beachwear. Lenses can also be ordered as photochromic wherein the tint turns darker or lighter, depending on ambient light. When it comes to vision health, consulting with the reliable eye care providers at Parrelli Optical is the sensible first step. Healthy vision enhances your quality of life and ensures that you continue to enjoy your lifestyle regardless of age. At Parrelli Optical, you will be treated as a very important person by experienced and highly qualified staff. When it comes to prescription sunglasses in Cambridge, MA, trust the doctors at Parrelli Optical for eye examinations, eye wear fitting and vision health guidance.